Often when you start using Oracle SOA Suite11g and BPEL you need a mechanism to help the end users keep track of the progress of the overall process instances. The EM shows this to administrators, but this is not suitable for end users. What about the worklist application? The SOA Suite offers the worklist application to handle tasks and to view progress using views and reports. It shows human tasks, crossing multiple process definitions. It does not show invocation of services or specific data changes in the process. The figure below shows three instances of one specific process definition. 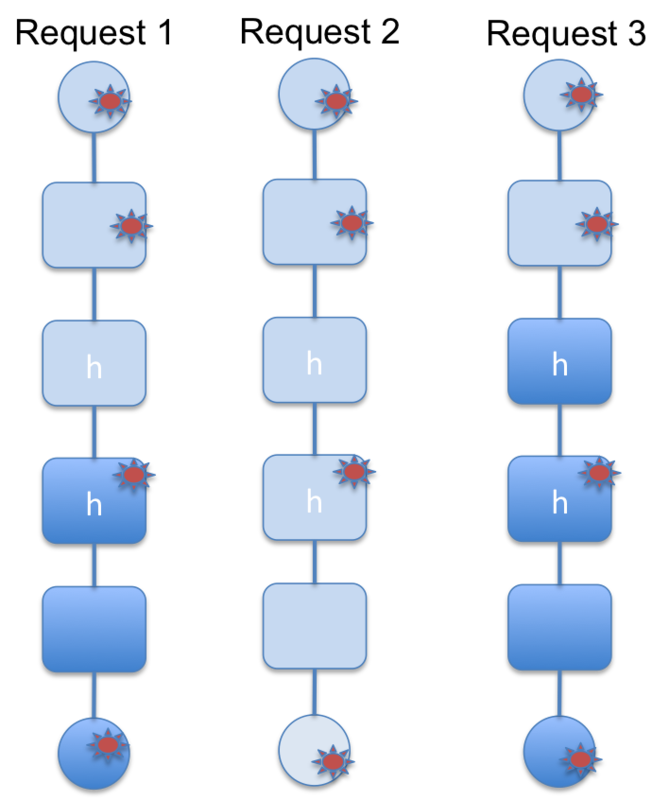 In this example relevant milestones are reached when the process starts, the first automated step is executed, the second human task is executed and when the process ends. In the worklist application you would be able to see what human tasks are open or executed by which user. With the worklist application you can't keep track of the first, second and last milestone, only of the third one because that is the only one associated with a human task. 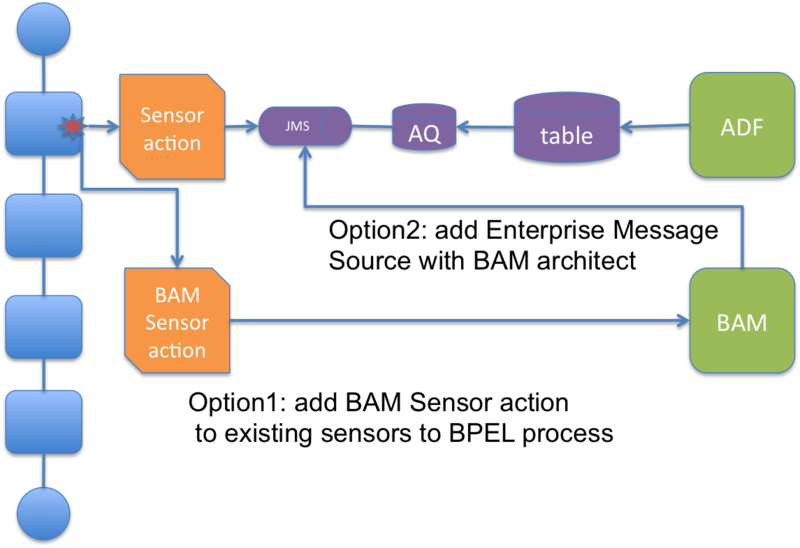 The required functionality can be accomplished using sensors and sensor actions on relevant parts in the BPEL process. There are different types of sensors that can be used in SOA Suite 11g: activity sensors, variable sensors and fault sensors. Custom Java class to handle it in a different way. BAM Sensor actions to publish them to Oracle BAM. You can chose to publish the sensor to AQ, so you can handle it both with Java clients and with PL/SQL because JMS queues in WebLogic can be implemented using AQ. There are two ways to show the progress to the end user: using BAM or building a custom application on top of the sensor data. You can easily decide to implement BAM later: you can either add BAM sensor actions to the BPEL sensor, or define a Enterprise Message Source in BAM. Option 2 (defining an Enterprise Message Source) has the advantage of not having to change the BPEL process (design time) when you decide to start using BAM rather than or on top of the custom application. In parallel you can build the GUI or configure BAM, depending on what you decided upon.